What in the world is soft bipolar? It doesn’t sound so bad does it? Yet many people believe it is a dangerous and destructive mental illness. We are not talking about the cute, downy, cuddly chick of mental illness here! Major depression? Emotional instability? Possible psychosis? No medications that help? In other words, soft bipolar can be pretty dang hard! 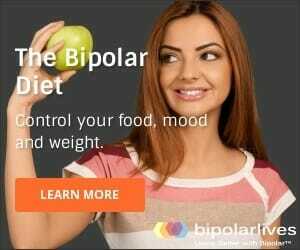 Work on improving treatment and diagnosis has been hampered by disagreements between experts about whether this condition even exists, and how valid the notion of spectrum of bipolar disorder exists. Mental illness is so difficult to diagnose that often the experts can’t agree. The DSM, (Diagnostic and Statistical Manual of Mental Disorders) is considered the psychiatrist’s bible. However, there are clinicians that are frustrated by the difficulties and constraints on diagnosing soft bipolar using the DSM. Misdiagnosing bipolar disorders happens more frequently than an accurate diagnosis! According to the DSM, to make an accurate diagnosis a doctor must determine whether the symptoms of depression fall into the category of EITHER unipolar OR bipolar. Other expert psychiatrists such as Dr. Jim Phelps believe that things are not so cut and dried. Instead of fitting patients neatly into one category or another, he believes in a Mood Spectrum and tries to determine how much bipolarity a person is actually dealing with. He deals more with what is really going on with patients as opposed to what the DSM says the symptoms should be. Many people fall into this mood spectrum. They see their doctor, get medications and/or counseling, but do not feel any better. In many cases, they may feel worse. The threshold, according to DSM, for bipolar II disorder is hypomania. However, hypomania can be hard to detect, especially since half of the population may have only 1 hypomanic day for every 50 days of depression. A diagnosis of unipolar depression will likely be the result and they will be given the wrong medications. Dr. Phelps cites the work of Hagop Akiskal and other leaders in the field to support his proposal that a bipolar disorder can exist without the presence of hypomania or mania. Experts have labeled this soft bipolar. In these cases, medications designed to treat depression often make the situation worse. The main deciding factor is the length of depression. In bipolar the depressive episodes are short, frequent and recurrent unlike chronic depression. The crux of understanding soft bipolar is understanding the spectrum or continuum theory, where at one far end there is full blown Bipolar 1, then further down the spectrum there is Bipolar 2, then a series of milder forms at multiple points, best described as soft bipolar disorder. If the follow the line all the way along to the other far end we would eventually reach the other end of the scale, unipolar depression. Other doctors do not prescribe to the spectrum theory. Also, their concern is that if the so-called spectrum is extended too much it will become theoretically and clinically meaningless. The bottom line seems to be how patients react to medications like antidepressants. Although some research suggests that it is only Bipolar Type 1 that antidepressants can cause a manic switch, others consider it a risk all the way down the so-called spectrum. On the upside, a manic switch may help lead to an accurate diagnosis for bipolar instead of depression, but that is a heck of a risk to run, and a price to pay! Also, research shows that for many bipolar patients, antidepressants are simply ineffective. Ultimately, managing ANY type of bipolar disorder MUST focus on stabilization and the maintenance of “normal” or “baseline” moods, without swings into either mania or depression. slowing down and minimizing the cycles.